For every educated player in blackjack who endeavours to play smartly, there’s always a few rookies or inexperienced gamblers who make horrible mistakes – most of which can be avoided with a little more initiative, practice and thought. We at blackjack.com.au have seen plenty of cringe-worthy decisions on the tables – both live and online – and as such, we’ve compiled a list of the worst ways to play 21 so we can continue to inform the blackjack community to learn from such mistakes. One of the first mistakes any player can make is before we even sit down. It’s obvious every game and venue has its own conventional variations, but jumping into a game without knowing what the rules and differences are is a terrible but mostly avoidable mistake. For instance, when a new player casually moves from a table where the dealer stands on Soft-17 to another table where the dealer hits on Soft-17 without bothering to confirm the differences with the dealer, it’s a totally unnecessary thing to neglect. The former rule is much more favourable and player-friendly and can make a considerable difference in both the house edge and our potential wins. Another example is if a player has a preference for games with a single deck and randomly jumps into a game with 8 decks with the same playing strategy used normally with no adjustments: it’s just not on. As dedicated players, we have to remain vigilant in every aspect of the game and know which rules and variations are the most favourable to us and then scout out such tables. We should also know what rules we personally prefer, regardless of house edge or player advantages, and tailor our strategies accordingly. It may seem like a no brainer, but too many rookies and experienced gamblers still insist on playing a game of 21 while out of cash or inebriated — or both! If we’re having a big night out in the town, playing with a clearer head is always advised: not just to necessarily walk away with actual profit, but to enjoy ourselves responsibly and not wake up with painful regrets or an empty wallet. A few drinks are always great and welcome, but just know how much you can have before it potentially affects your playing form. Setting a personal limit for playing cash is a must for any good gambler and blackjack player, even if you’re just a casual visitor at the tables. A personal limit lets us know how much money we have, how much we have lost by the end of the night and when to effectively stop playing to talk away with profit. Drinking excessively or even just enough to get tipsy is also not recommended if you’re going to play on the tables and expect to win. Blackjack is a game where concentration, decision-making and skill is necessary to win, and alcohol definitely does not factor into such an equation. Have a beer or two; not 50. If you play blackjack without knowing basic strategy, you best get the books or your computer and read up here on why it’s the best system to follow in every game of 21. 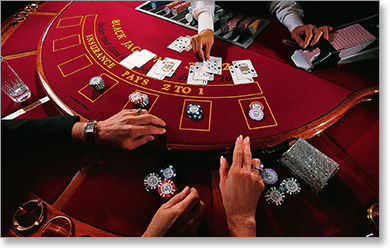 Rookies or lazy gamblers who fail to grasp the importance of just how proven this system is probability-wise are risking and wasting a whole lot more money than those who abide by its rules, because the fact remains: blackjack is not a game played solely based on chance or impulse. Basic strategy was first formed in 1956 by a group of scientists who discovered via mathematical statistics the correct way to play every hand with the best possible chances and probability. A player who plays every move according to basic strategy can reduce the already low house edge to around 0.2 to 0.5%, dependent on the number of decks used, the side bets on offer and the rule variations of the game. If we have a hand of eight or below, we always hit no matter what because that is the proven correct way to proceed and win in most cases. Skill in blackjack goes hand in hand with discipline, memorisation and repetition and our moves do sometimes have to be the same. This can seem boring to some, but if we want to have the optimal chance of winning, basic strategy is the only right way to play 21. 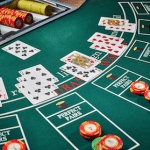 While not a common trend in many online casinos, a large number of land-based venues offer single-deck blackjack games with 6 to 5 payouts for a player blackjack rather than the standard 3 to 2 payout. For instance, when we wager $10 and win blackjack with a two-card natural, we get paid out $12 instead of $15. The reason for paying players a drastically inflated win rate is to make player-friendly games like single-deck 21 actually house-friendly; but make no mistake, house edge increase by 1.4% is a crime. No matter how expensive running a brick and mortars casino is, there is no way this sort of payout can be justified as fair. As an informed player, don’t facilitate it and avoid playing these types of games and stick to the tables with the standard, fairer payouts. After all, we want to only play the fairest games possible. 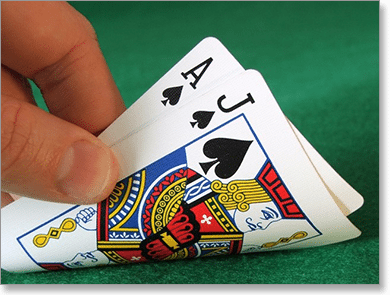 Side bets are called side bets for a reason: they’re supplementary wins to the main hand. Naturally, many blackjack side bets have high house edges but extremely attractive payouts as a way for the house to encourage players to put more money on the line. As a general rule of thumb, we should always only put down side bets if we’re well aware of their low probabilities and ready for the outcome, or we want to spice the main game up with a few exciting but admittedly unlikely side wins. Many players who rely on such side bets for the brunt of their profit are playing 21 wrong and are only setting themselves up for disaster. Know when to place side bets down and don’t expect consistent winnings: just have fun with them and enjoy the wins when they do pop up. Whenever the rare opportunity arises of a deck producing only small-valued cards and no aces or faces, many new or recreational players fail to pay attention and play accordingly. This is a wasteful mistake. 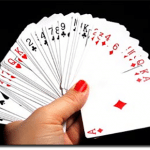 Many games of blackjack vary in deck size, but all of them are subject to the occasional disproportionate number of high and low cards dealt after a shuffle. If we’re seeing nothing above 7 being dealt from a single deck, for example, we know for every standard deck has 4 Aces and 16 face-cards and 10s and so the remaining cards are ripe with such high-valued cards: consequently, we can then bank and double down on our hand a little more confidently. Of course, if there’s nothing but Aces and face cards in the early rounds, we know not to increase our bets and play safely. Always pay attention to these anomalies and know when to exploit any slight advantage — or avoid any dangerously unfavourable situations — when we can. New or recreational players: if you honestly think winning blackjack is solely based on personal luck, you need to refrain from playing 21 and any other in-depth card game until you grasp the concept and importance of individual player skill and strategy. Sure, luck is a major factor in winning games of 21: nobody denies it because it’s a fact. It’s also a major factor in every other casino game in existence, especially roulette and the pokies, where player decision-making is largely comprised of placing down a chip on a number or pressing a mechanical button and hoping the random outcome is in our favour. Blackjack, however, is the most popular game in the world for a reason: because in the long-term, winning is dependent on our personal skill and the odds of winning in one hand are not the same in the next hand. 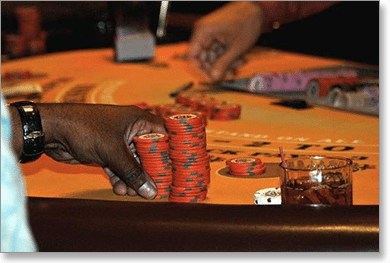 Proper strategy always trumps impulsive, chance bets and blackjack is no exception. Don’t go in thinking random bets will help you leave with a profit in the long-term.